Create action-dependent vouchers for your customers. 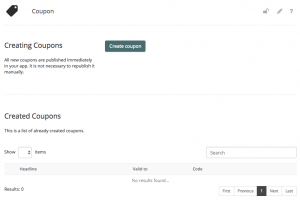 Click on new voucher in the app dashboard to assign a name and how long this voucher is valid. You can also add a suitable description or icon. With the help of the vouchers, you can win new customers and at the same time increase customer loyalty.